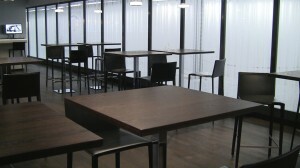 It’s far too classy for food fights, but this large group of cafe seating would be a good spot for one. Seating: The balance between deep leather loungers and cafe seating seems to lean in favor of the latter at the Swiss Arrivals Lounge Zurich (ZRH). 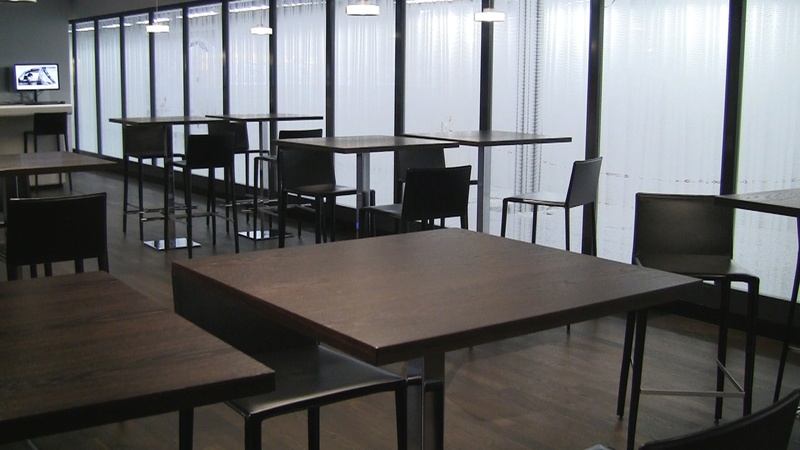 The dense set of dark, cubish lounge chairs meet you at the very front of the space and is followed by a large, open room full of tables and chairs for a very sleek, modern cafeteria experience. What makes up for a seeming lack of better-cushioned seats is a set of “relaxation” chairs toward the back of the lounge that come complete with blanket and the sound of a nearby fountain creating a soothing and relaxing space to drift off before you head into town or back into the airport. Food: The food goes a little beyond what you might expect but it’s not the Ponderosa. A light meat and cheese selecton was paired with more Western breakfast choices like scrambled eggs and bacon. More typical lounge-snacks are found inside too. Wi-fi/Connectivity: Outlets are found near the section of leather lounge chairs in the front area, but fewer elsewhere in the lounge. Wi-fi is complimentary and you’ll find several internet-connected workstations near the center of the lounge. Small bites are yours for the taking at Swiss Arrivals Lounge ZUR. Service: Both check-in agent and shower attendants were very friendly on this visit. Contact with staff is minimal here not because they’re not around, but instead because they work like ninjas keeping the place cleaned up and food well stocked. Summary: Once you get over that it’s pre-security, the Swiss Airlines Arrival Lounge Zurich is a nice space. If it’s your only lounge option on a long connection, it’s worth the effort to stop in, clean up and have a quick bite. The outside views aren’t amazing but the zen-style interior help to make this a very spa-like airport experience. 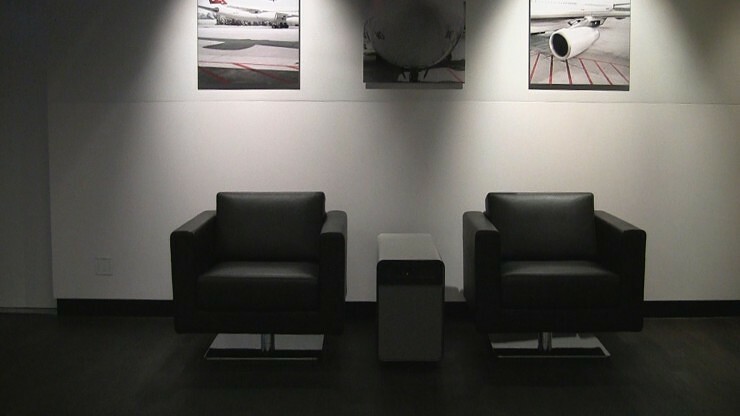 How to get in: There are several ways to access this lounge when flying Swiss, Lufthansa and Star Alliance partners. 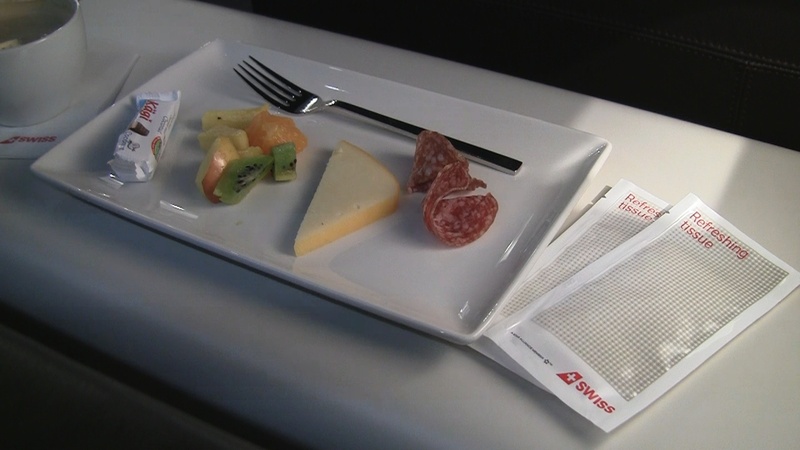 See the requirements for each lounge at Zurich International at the Swiss website. I might be wrong, but isn’t Zurich’s airport code ZRH, instead of ZUR? Hi MK. I noticed the error on another post but then made the mistake all over again on this one, haha. Fixed in the article, video soon. Thanks for pointing it out.